James Bradley’s Private Lodge Certificate pre-dates the founding of the Grand Chapter by the Grand Master of the premier Grand Lodge, Cadwallader, 9th Lord Blayney, on 11 June 1766, who immediately became its First Principal. Lord Blayney issued the two oldest chapter warrants in the country, one to Nativity Chapter in Burnley and the other to Cana Chapter in Colne. The two chapters celebrate their 250 years on the 12th May 2019. It is not know when Freemasonry was first worked in the small Lancashire town of Colne, however, in the minutes of the lodge it records the funeral of Bro. John Shackleton a member of the lodge upwards of 50 years. This seems to indicate that the lodge must have been working some sort of Freemasonry in 1732. The fact that the lodge has in its position two ancient Masonic charges, one written in the 1600’s the other written at the start of the 1700’s. All seem to indicate that the lodge has a history much longer than its written records, which only go back to 1758. This hand-painted certificate is now housed with the Masonic Library in London for safe keeping. It is claimed by the Library that it is the fifth Oldest Lodge Certificate in existence. The Library’s description of the certificate, “that Bro, Bradley hath taken the 1st, 2nd, and 3rd Degrees of Masonry”. The actual wording is as follows:(Royal Lancashire Lodge). The certificate is signed by Stephen Ellis, Master of the Lodge, Tho [ma]s Hargreaves Senior Warden; Chris[tophe]r Hartley, Junior Warden and Charles Alexander, Secretary of the Lodge. This slight difference may indicate that Colne’s “Syolmne Degree of a Master Mason”, may not have been the same as the new degree formulated Desaguliers, in 1724 and based on the legend of Hiram Abif. As Lawrence Dermott put it, the new 3rd Degree was the work of Rev. Dr. John Theophilus Desaguliers the Past Grand Master of the Premier Grand Lodge and seven of his friends. 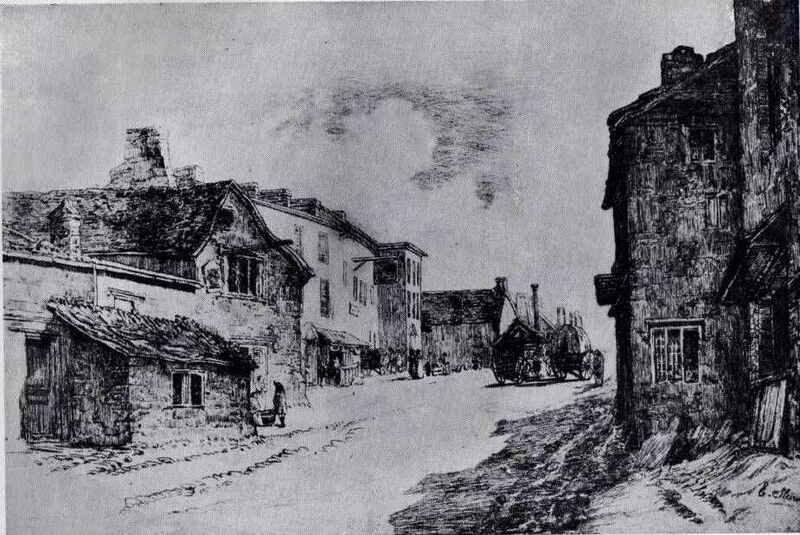 It was Desagulier, who laid it down that ancient Masonry consisted of three degree and no more, but who in 1732 introduced three noblemen into the Super Excellent Chapter at the Duke of Montagu’s residence. Dr Fifield Dassigny In his Irish Masonic sketches of 1749, held the view that no brethren were entitled to receive the Royal Arch Degree until, he made the “proper application, and are received in due formality; and … it is an organised body of men who had passed the Chair, and given undeniable proofs of their skill”. Bro. Dashwood also queried whether as early as the late 1730’s, it was a requirement of having been in a Craft Chair to progress into the Royal Arch. His findings concluded that it was. Although Desagulier’s ‘third degree’ was derived in 1724, it was not until 1750 before it started to become established in Premier Grand Lodges, and Fellowcrafts could still take any office and not all masons took the trouble to do the new 3rd step. It was shortly after this, in 1758, that the Master and Wardens of the Colne Lodge got re-initiated into a Premier Grand Lodge in Bury, with a view to the Colne Lodge joining the Premier Grand Lodge and their quest to gain the new ‘third degree’. The Colne Lodge started to keep written records in 1760 and these were of the very basic and did not include information as to what ceremonies were being worked. The records in the lodge’s ‘forfitt’s book’, includes the Lodge ‘Bye-Laws’ together with the names of 33 Brethren as of 27th March 1760. The Colne Lodge had to wait until 4th February 1762 before it received its warrant from the new Provincial Grand Master of the Moderns for Lancashire. The founding Master was Lawrence Whittaker, a Gentleman of Chambers Hill, and one of the Constables from Marsden, John Hargreaves a surgeon of Greenfield House and James Ellis a tailor were the Wardens. Other founders included Charles Alexander a barber and a professional writer and scribe and Thomas Hargreaves a carpenter, who became the Master of the Lodge in 1768 and the First Principal of Cana Chapter in 1769. James Bradley is not mentioned as a member in the ‘forfitt’s book’ of 1760, so one can presume he joined the Lodge after the members list was compiled, and had made the required progress to be raised to that Sublime Degree of a Master Mason by 24th June 1762. It seems strange that, just 12 months after Thomas Hargreaves the Master of Royal Lancashire, had written his critical letter to the Grand Sectary, that he received a warrant to from Grand Chapter on 13th January 1769, to form ‘the Cana Lodge or the Chapter of the First Miracle No 5., meeting at the Hole in the Wall, Market Street, Colne, Lancashire. The Grand Chapter of the Moderns was only founded in 1766, and it took three years before the first Chapter warrants were issued. Cana Chapter was one of the first four warrants to be issued on 13th January 1769. Cana Chapter No.5 then had 21 founding members, all of whom had passed the chair and received the arch step in the Royal Lancashire Lodge. Strange but interesting, John Hartley an Overseer for the poor, received ‘ye arch step’ in the Royal Lancashire Lodge – 4 years after Cana Chapter was warranted. “In the beginning was the Word, and the Word was with God, and the Word was God. The same was in the beginning with God. All things were made by him; and without him was not any thing made that was made. In him was life; and the life was the light of men. And the light shineth in darkness; and the darkness comprehended it not. It is thought that the ‘Hole i’th Wall Inn’, Colne, Lancashire was built in 1636 and still retains its 17th/18th century character. It originally started trading, not as a pub, but as one of the very first off-licences, serving beer, which was brewed on the premises, and sold through what was literally a hole in the wall, hence the name. An ancient draw-well use to be situated opposite the Inn. The well was arched over in 1801 and now lies beneath the road. Once used by the Royal Mail coaches, the inn sits at the highest point in Colne, some 626 feet above sea level. 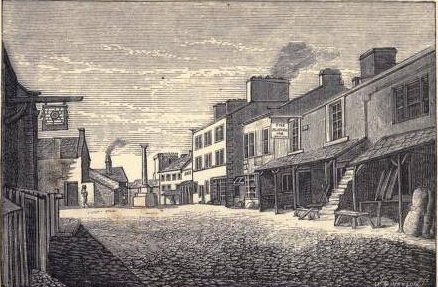 It was much frequented by the leading manufacturers of Colne in the early 18th and 19th century. The inn was the first know home of the oldest Masonic Lodge in Colne and is the oldest surviving meeting place for Royal Arch Freemasons in the World. 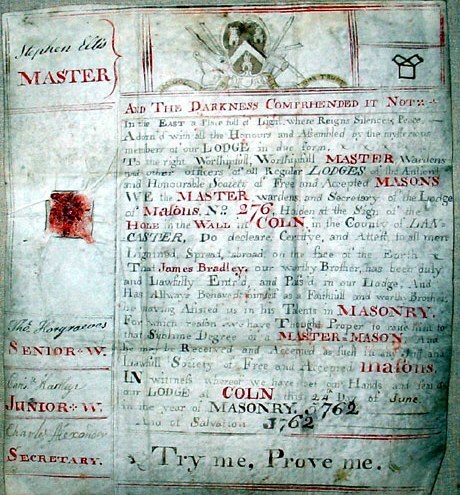 On examining all the information above, I am led to the conclusion that the James Bradley’s “Syolmne Degree of a Master Mason”, in his Colne Lodge No. 276 in 1772, was most likely to have been “the Sublime Degree of a Royal Arch Mason”. This would have been in keeping with the working of the old York Grand Lodge, which had been fairly prevalent in Yorkshire and East Lancashire in the 1760’s. The Colne lodge has further linkages to old York Grand Lodge and Ancient ceremonies as it continued to confer the Mark on candidates in the Lodge right up to 1858 and the Lodge was an early applicant to apply for a warrant for its Knight Templar Encampment in 1805. From a 1888 Burnley Gazette it says a Mr Peter Whalley delivered a lecture on astrology at the Odd fellows Hall Market St Colne. Any idea where their Lodge would of been. Sorry I have no idea where they could have met. The current masonic Hall is at 91 Albert Road. Hello Kim, thanks for your comment. Believe it or not your mum’s pub is the oldest building in the world where Royal Arch Masonry was practiced. We still meet as Masons just down the road. The pub is over 350 years old so not surprised there are some strange happenings in the place. Many thanks for your kind comments on the Pendle Lodge website. Amazingly the Hole in the wall Inn is still there and only a few hundred yards from the current Masonic Hall in Colne. The oldest chapters meet in Colne and Burnley, just a few miles from the Inn. It occurred to me that maybe we should hire the Inn for one evening and conduct ancient Royal Arch ritual once again in the building. Maybe one day. the master of the lodge stephen ellis is an ancestor of mine, is any more known about him? You don’t say if you are a local Freemason or not, although your name rings a bell and it wouldn’t surprise me if you’re a member of a lodge in Colne yourself. I have passed your comment to the Eddie who wrote the above article, he may have some additional information on Stephen Ellis.